The Fellowship was fortunate enough to obtain a copy of COSMO #2 from Archie Comics. The story is written by Ian Flynn; with art by Tracy Yardley, colors by Matt Herms, and lettering by Jack Morelli. COSMO is a reboot of the 1950’s Archie Comic series COSMO THE MERRY MARTIAN. Flynn provides a fun, action-packed story with filled with laughs. Yardley and Herms bring a bright, retro-future look for the book and compliments the fun script perfectly. COSMO is a great addition for the young (or young at heart) comic reader. Check it out. 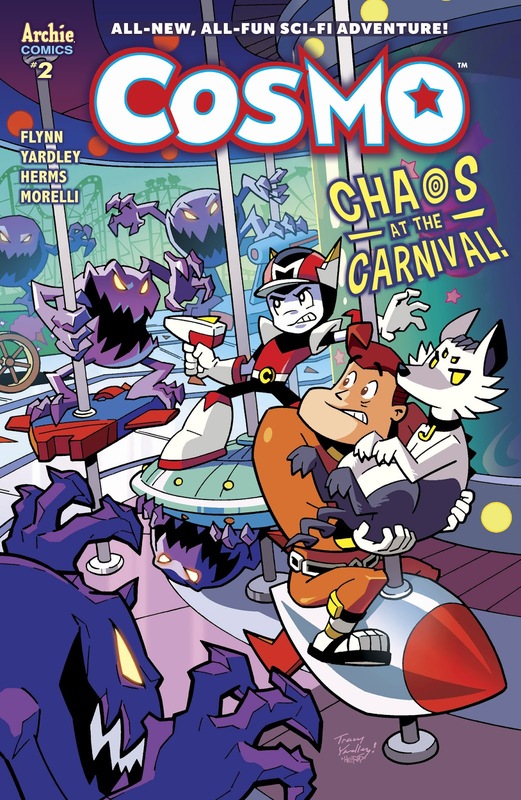 COSMO #2 is in stores now or available at archiecomics.com.